Newcomer Family Obituaries - Ruby A. Flores 1949 - 2018 - Newcomer Cremations, Funerals & Receptions. Ruby Adel Flores, 68, was called home on Sunday, July 29, 2018. 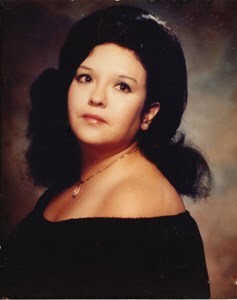 She was born to Ruby Romero and Ishmael Flores on October 26, 1949 in Denver, Colorado. She was married to Ramon Guttierrez on October 4, in the early 1980's. Ruby loved to go to church and to yard sales. She was well loved by many. Survived by one sister, three sons, Frank Flores, Zeke Flores and Keith Sailas; two daughters, Roberta Flores and Felicia Flores; eleven grandchildren, nine great-grandchildren, numerous nieces and nephews. Preceded in death by her parents, Ruby Romero and Ishmael Flores, her husband Ramon Guttierrez, two brothers and one sister. Viewing, Sunday, August 12, 2018 beginning at 11:00 am, followed by the Funeral Service beginning at 1:00 pm, both at Newcomer West Metro Chapel, 901 So. Sheridan Blvd., Lakewood. Pastor Michael Gonzales, officiating. Reception will follow at the VFW Hall, 4747 West Colfax Ave., Denver. Add your memories to the guest book of Ruby Flores. PS.NOBODY MAKES CHILI BETTER THAN YOU MOM NEVER!! FOOD ALWAYS THE BOMB.